There are over 6,000 different rare diseases, which can be hard to diagnose and may be without cure. Most of these diseases are chronic, and the absence of effective treatment means that patients are forced to endure painful and invasive testing. In Europe alone, rare diseases affect over 30 million people and half of these are children. Aparito is an app and wearable technology combination that aims to remove some of the discomfort and stress of living with a rare disease. Aparito is a health-monitoring watch that collects relevant data from the wearer, and sends the information to a smartphone via Bluetooth. The information is uploaded to the cloud so clinicians can analyse the patient’s progress from afar. The app can be further updated with patient-added data such as dosage changes, days off school, falls and seizures. This reduces the human error that naturally occurs when a patient is asked to recall a week or two later exactly what time they fainted, or precisely what day they forgot their medication. With Aparito, patients with rare diseases will no longer be tied to constant hospital visits. Through real-time monitoring, patients will be able to give more data (crucial for diagnosing more complex diseases) than in snapshot hospital tests, and have a higher level of involvement with their own care. With funding from Actelion Pharmaceuticals, Aparito has partnered with the Niemann-Pick Association in the UK to create an app specifically for use by patients with Niemann-Pick disease. 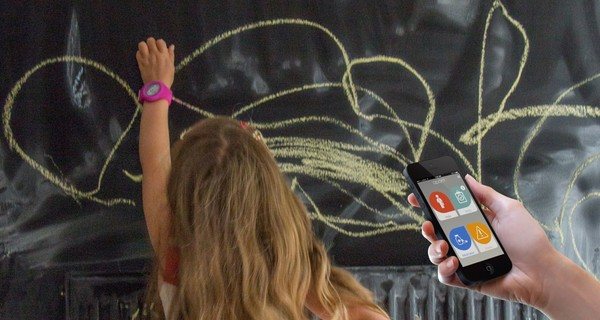 With the help of Great Ormond Street Hospital, Aparito will continue to develop wearables and apps for two new diseases per year for the next three years. Their work is important and timely – according to a new report from IHS Technology, 4 million patients globally will remotely monitor their health conditions by 2020.